Now that there are shareholders to answer to, expect Sonos to continue expanding its portfolio. It's been a busy year or so for Sonos. Since last April, the company has launched three hardware products (the Playbase, Sonos One and Beam), added AirPlay 2 and Alexa support and became a publicly-traded company just yesterday. It's a milestone for any company, but Sonos says its fans shouldn't worry that the pressure of answering to investors will change its music-focused mission. The company's chief product officer Nick Millington told Engadget that Sonos is staying focused on delivering music throughout your home. In fact, the company points to the busy year it had as what we should expect going forward. "In the last year, we have definitely focused on increasing our velocity of product development and product releases," Millington said. "I'm really proud of having launched the Playbase , the Sonos One and now the Beam in a relatively short period of time." That's a deliberate difference than the past, which typically saw years go by between hardware releases, and Millington said that keeping up that pace was going to be a key goal going forward as a public company. 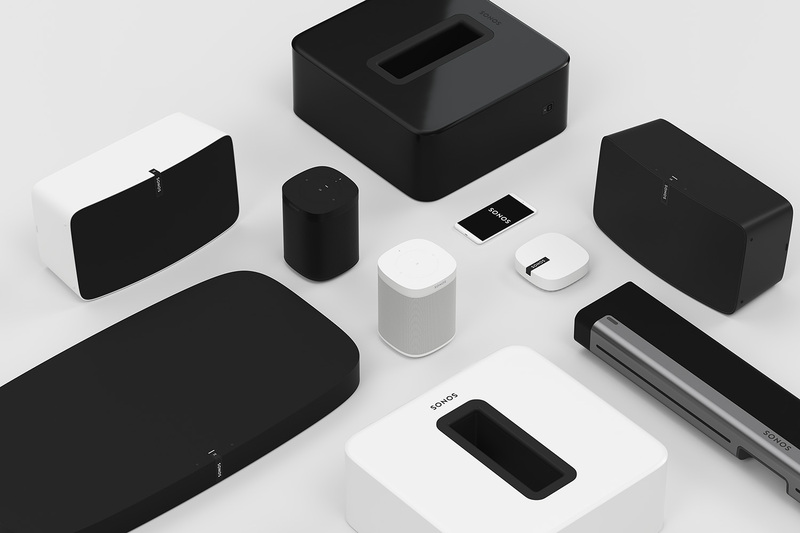 Accelerating product development could be a detriment to the quality the company is known for, but the three latest speakers have all met expectations for what Sonos can produce. The partnership that came out of developing Alexa to work with Sonos is part of why the company thinks its position with Amazon is secure. It's also why the company isn't overly concerned about the fact that it now counts Amazon, Google and Apple as rivals in the hardware market as well as partners. The fact that Sonos works as a relatively open platform that's now in use in 7 million homes is another point that Millington sees in the company's favor. "Sonos has earned over the years a reputation for quality of the experience, and that's what these companies want to associate their brands with," he said. "Something that works, that people like, that they talk about, that they tweet about... by delivering that great experience, these companies are incentivized to work with us." He did admit that 7 million homes isn't the biggest footprint, but the demographics of Sonos customers makes the brand a valuable partner. "Those are some of the most desirable homes," he said, then noting that there's "a big overlap between those people and someone who owns the latest iPhone X or subscribes to Amazon Prime and orders every other day. It's really, really high." While it sounds like Sonos customers have plenty of income for upgrading their systems, the company still focuses on making products that last longer than most disposable electronics. Indeed, Sonos likes to say the products will sound better over time (2015's TruePlay release is a good example). But Sonos ended up not adding AirPlay 2 support to the 2013 Play:1 speaker, one of the company's most popular and affordable products. For those customers who feel shafted, Millington said the decision was ultimately made in favor of making sure the Play:1 continued to work as well as it has for as long as possible. "We decided that AirPlay 2 was a bit too much of a commitment of the remaining resources and RAM and processor inside that product," Millington explained. Instead, Sonos is saving those computing resources for updates that'll let the Play:1 work in multi-room setups with the company's newer speakers. Choosing longevity over a new feature is how the company thinks it can keep customers from having to replace otherwise perfectly good speakers within a few years. Its long history in the home speaker game will likely be a strength for Sonos as it competes with Amazon, Google and Apple. Its first product, the ZP100, came out in 2005, and Millington says it still can be grouped together with modern Sonos speakers. Meanwhile, Apple in particular is notorious for first-generation products that have short lifespans -- the first iPad stopped getting software updates after two years. It's not hard to imagine the HomePod suffering a similar fate. But the long-term strategy Sonos has taken thus far means its speakers will likely continue to have longer lifespans than most other gadgets. Yes, Sonos may have to move faster to satisfy its shareholders, but it can keep satisfying customers as well as long as it isn't making disposable products.